Fans of Kentucky-based singer and songwriter Chris Knight have been waiting impatiently for news on a new album for a few years now. His last record Little Victories was released in September of 2012, and since then folks have been salivating for new material. A songwriter’s songwriter who’s been covered by Randy Travis, Lee Ann Womack, and others, his down home authenticity mixed with real world wisdom makes him a favorite of many. Promoting his upcoming live shows, Chris Knight stopped by the studios of WFHB recently to appear on the Firehouse Sessions with host Jim Manion. Knight played a few songs, and gave fans an update on when new music may be on the way. Growing up in Slaughters, Kentucky, Chris Knight worked in the mining industry for a decade before he started pursuing music seriously at the age of 30. He didn’t land a record deal until he was 37. Now he’s a regular on the tour circuit, as well as in lists other songwriters recite when asked who their favorite composers are. 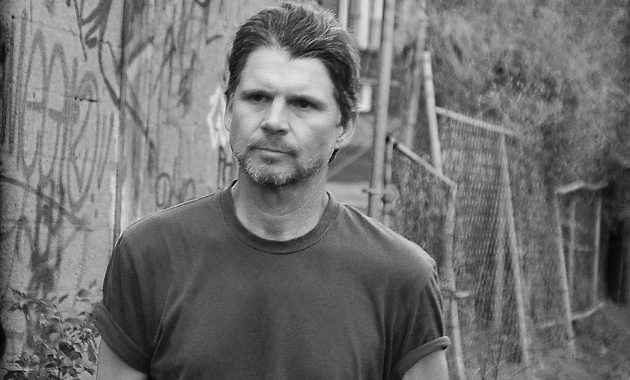 Chris Knight has been signed with Decca, Dualtone, and Thirty Tigers. His last record debuted in the Top 25 of the Billboard Country Albums chart. That is exactly what this country needs right now …. a new Chris Knight album (with full band). I was thinking the other day why we give Knight a free pass for his creative lull and not Jamey Johnson. I think it’s because Johnson doesn’t even play much of his catalog anymore. I think it’s because Chris has a greater output of original music. Don’t get me wrong, I like Jamey Johnson but Chris is on another level of songwriting in my opinion. Agree. And did it for a longer period of time. I first heard “It Ain’t Easy Being Me” in 1998! Amen, brother! This is the best news I’ve heard this month. Can’t wait. That Lee Ann Womack version of send it on down came up on shuffle the other night. Forgot how awesome of a song that was. Made me want to go back down the Chris knight rabbit hole. Just writing an article on the topic? Is that what you mean? A little less cryptic, please. Chris Knight has been saying these same things for the past couple years. He has often mentioned that he needs to get into the studio and record what he has and that he hasn’t sold enough of the last album. He has sounded bitter about his album sales. A buddy of mine saw him a couple years ago and said he seemed pretty miserable the whole show. I don’t know that I’ve ever heard of him saying that he has enough songs to the point where he has to do some culling, though. I guess we’ll see. I posted this article because I pretty regularly receive inquiries from Chris Knight fans wondering about news about a new record. The only person I get more inquiries about is Hank3. The last time I addressed this, Chris said that the reason he hadn’t released an album was the “songs were coming slower.” It would seem in this new interview, it’s a new development that he’s got an album’s worth of songs finished. Given the high regard so many of us have for Chris Knight, I personally think it would have been delinquent of you not to post something on this news story. Also, the main difference between this one and the previous Chris Knight story (also newsworthy) is that there’s reason for hope that we might hear some new music soon or at the very least, we’ll probably get a another Chris Knight album at some point. I’ve seen him twice, the first time was solo, probably soon after A Pretty Good Guy. The second was around 2014 and it both cases as good as the show was it was hurt by how much he seemed as if he would have rather been *anywhere* else. It’s one thing to not be comfortable performing, but it’s another to almost be disdainful of having to do it. I don’t need someone to be Mick Jagger, but a smile every now and then and the recognition that there are people standing in front of you wouldn’t hurt. He’s a *great* songwriter but I’ve never had much motivation to go see him since then. I think that’s just Knight’s personality in regards to him seeming “miserable”. Every interview I have ever seen of the guy, he has never once seemed super thrilled about doing the interview or even being on stage. I think he is a guy that if he could just write/record songs and never tour or deal with the business aspect of the business, he would be more than fine with that. I remember seeing him every time he blew through Denton before and around the time “The Jealous Kind” came out. It seems like somewhere in that time he got burned out. He would still put on great shows and was somewhat congenial with fans. But in and around that time his attitude about all of it seemed to change. I’m not laying blame. But I noticed this too. I was just listening to him last week. And ready for some new offerings. Such welcome news. I know I’ve been jonesing. Now if only Alvin Youngblood Hart would put out a new one. Great news! I’m hoping he will come to Montana or at least Eastern Washington sometime soon. I can imagine how his music could be even better live. go east, montanaman — 12 tour dates in early fall in TX, LA, KY, TN, IL. At least 1 venue has a capacity of 350 people! New William Elliott Whitmore coming out September 7th too! Cant wait. I hope he goes back down the river and finds Wilson’s cousin. I think Wilson’s cousin is already keeping catfish company at the bottom of the river. He just ain’t said anything about it cuz he doesn’t want to be Framed and go to jail. One of the best out there, hands down! Bring it on Chris! I’ve been sleeping on this guy, despite past recommendations. “Songwriters songwriters” appeal to me so I’ve been checking out his last couple albums. Damn. Wish I’d checked him out sooner. Not just his songwriting….I like his gritty approach and voice. Like L. McKenna and Townes, just to name a couple, I think I will like his versions better than the covers, no matter who does them. I also like the theme of resilience and overall positive outlook in his lyrics from what I have heard so far. Glad he’s finally going to release some new material. Damn. Wish I’d checked him out sooner. I don’t know that I had heard of him much before Little Victories, but I did jump on board shortly after Trigger’s review. But I know that feeling of hearing about someone, but sleeping them for too long. For starters, Billy Joe Shaver, Ray Wylie Hubbard and Robbie Fulks. I’m right on the verge of seriously contemplating doing some stuff, if I can get around to it…I think. I hope a new record comes to pass all the other ones are stellar! I will see him Billy Bobs in Fort Worth in late September maybe he’ll play a few new ones for us. Been going to his shows for 20 years–in my opinion the best songwriter we’ve got–can’t wait for a new album. This is really good news! I have all 8 of his CDs. Little Victories, and Enough Rope are always in my CD deck. Cannot wait! Thanks for reminding me I’ve gotta catch up with Little Victories — huge fan of his earlier stuff. “North Dakota” is one of the best story songs ever, imo. “It Ain’t Easy Being Me” is the story of my life. Chris Knight’s an amazing songwriter and artist. His songs have a realness about them that few other writers can match. When you listen to Robert Earl Keen (who’s also great), the songs–“Whenever Kindness Fails,” “Jesse With the Long Hair Hanging Down,” “The Road Goes On Forever,”–are cinematic, the grifters and killers who inhabit them seem like legends. With Chris Knight, the songs–“Love and a 45,” “William,” “Down The River,” the grifters and drifters and killers just seem real. I saw him perform in a dive bar on Houston Street on New York’s Lower East Side in the late ’90s. I hope he’s still got some good material in the tank. Honestly, he could record several songs from Trailer and Trailer II (like he did with “Crooked Road” and “Hard Edges) along with “Send it on Down”” and it would make a GREAT album. I’ve seen Chris twice, and I thought he put on a good show both times. The last time was last year at a music festival in south Georgia. He played an awesome set, telling stories and interacting with fans. He also met with fans and signed autographs after his set. He was a really nice guy. I’m excited for a new album.